Multi sport backyard courts are a great way to optimize space in your backyard, driveway, or playground. 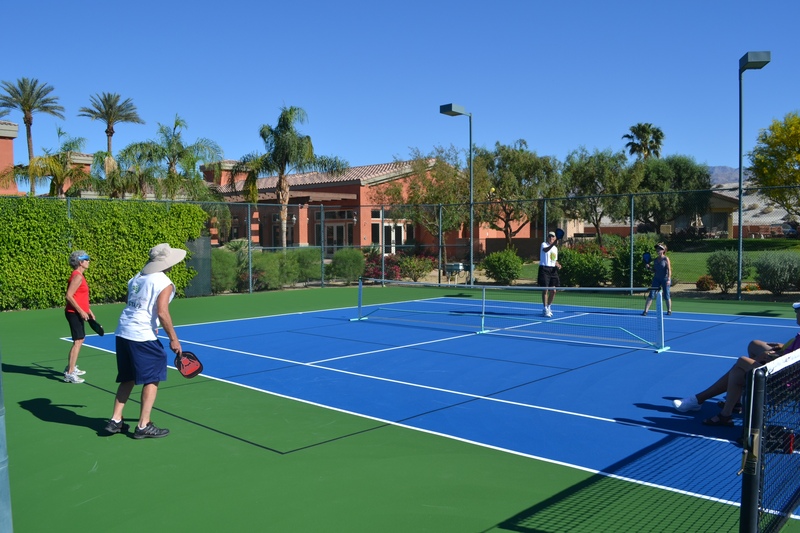 With the onslaught in popularity of Pickleball, there has been a demand for smaller courts and combination courts to accommodate players. 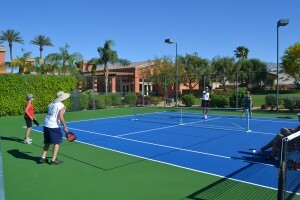 In areas where the interest in Pickleball exceeds tennis, blended lines are added in another color so that the courts can be used for both sports. 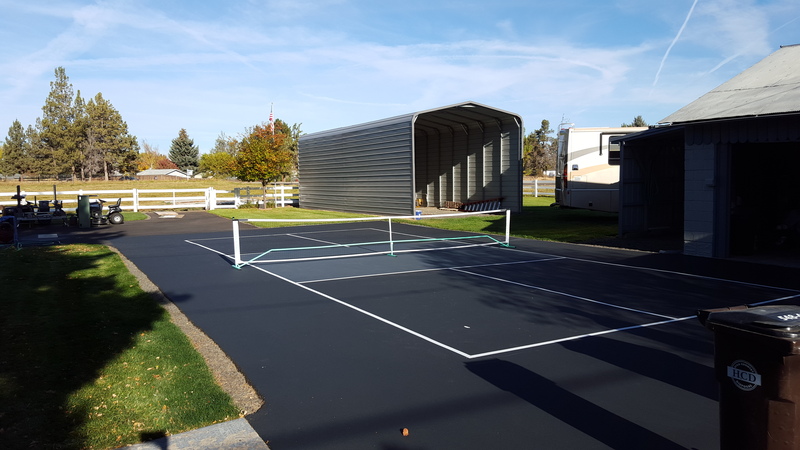 Another option is to use your driveway for double duty, as you may already do for basketball, and add coatings and blended lines for pickleball and you’ve really got a multi use court. Playgrounds are also underutilized. Many times, there are large areas behind schools that are plain asphalt blacktop. Acrylic sport surfaces can provide a lighter, cooler surface to play basketball, volleyball, pickleball, and many other games. The lightly textured surfaces are also safer, especially when conditions are damp and potentially slippery on normal pavement. SportMaster also makes a special color coating for higher wear areas, including areas with moderate traffic from vehicles, bikes, and more aggressive play. The system is called ColorPave, and there are a few different variations. 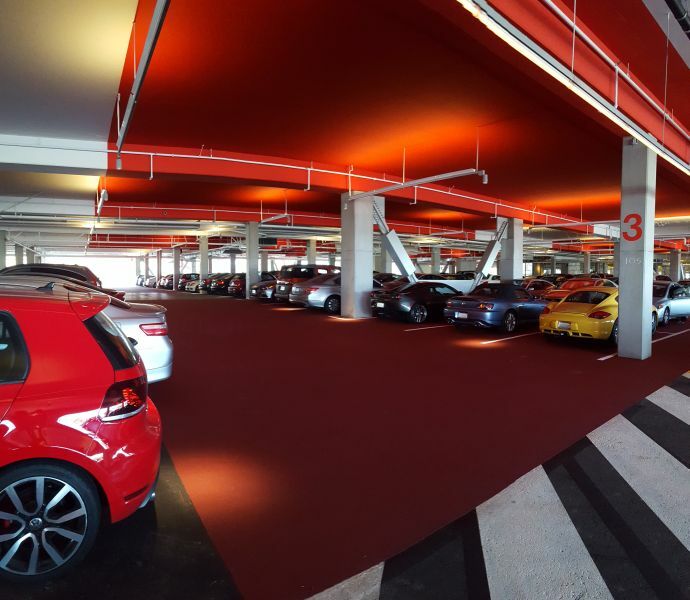 The ColorPave system was recently used at the new Facebook campus in Menlo Park, CA, in their under-building parking garage. 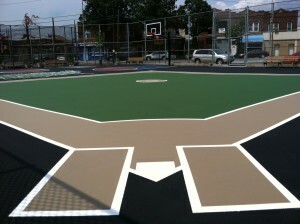 ColorPave is also ideal for high-wear, multi sport surfaces and driveway basketball and pickleball court areas. Bike lanes, zoos, amusement parks, and other specialty asphalt colored areas can also benefit from a coating system like ColorPave. 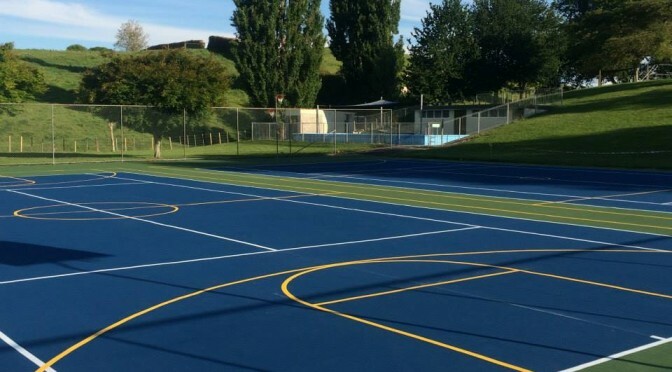 If you are thinking about building a new multi sport court or have an existing pavement area or sports court, we can put you in touch with an experienced sport surfacing contractor. They can perform a site visit to evaluate your project and provide a free estimate. Not sure what you want, our installers can provide recommendations based on the available space you have and on your sport and activity preferences.